Truth time: while I would use them in a pinch, I’ve never really been a fan of makeup remover wipes. 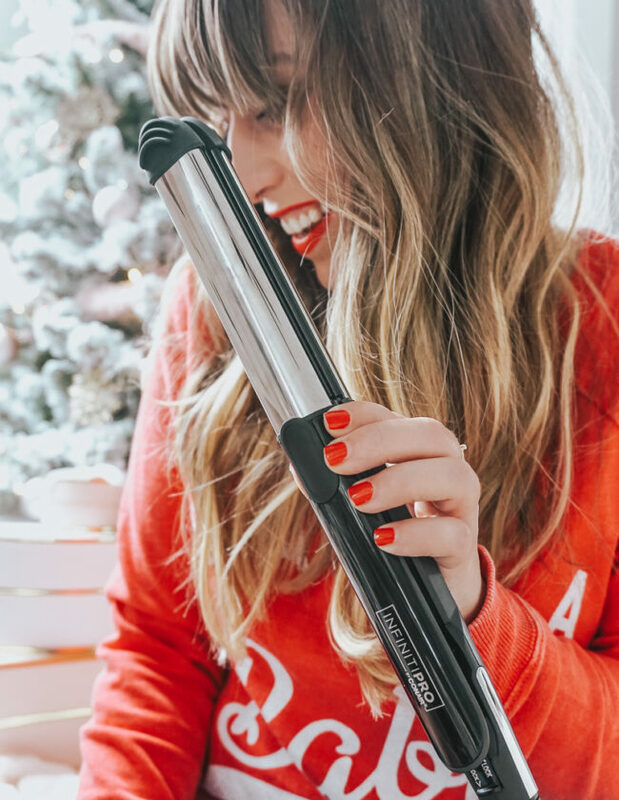 I’ve typically found them to be too drying, plus, my skin STILL feels dirty afterward… I know double cleansing is supposed to be uber chic right now, but like, come on who has the time for that? I also hate how tight and dried out my skin feels after using them. 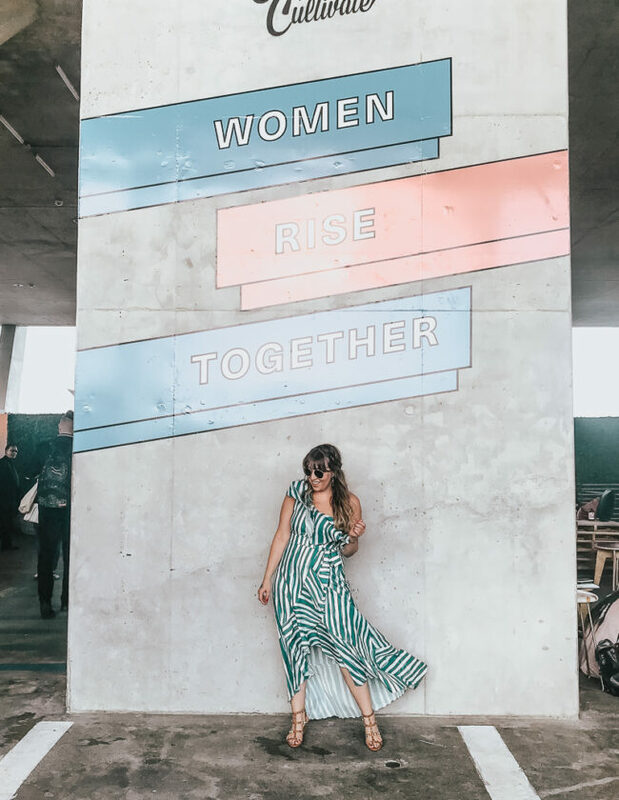 Because of that, for a long time, I’d usually reserve the use of makeup remover wipes for travel when I didn’t want to lug a ton of products around. And honestly… was never that thrilled. 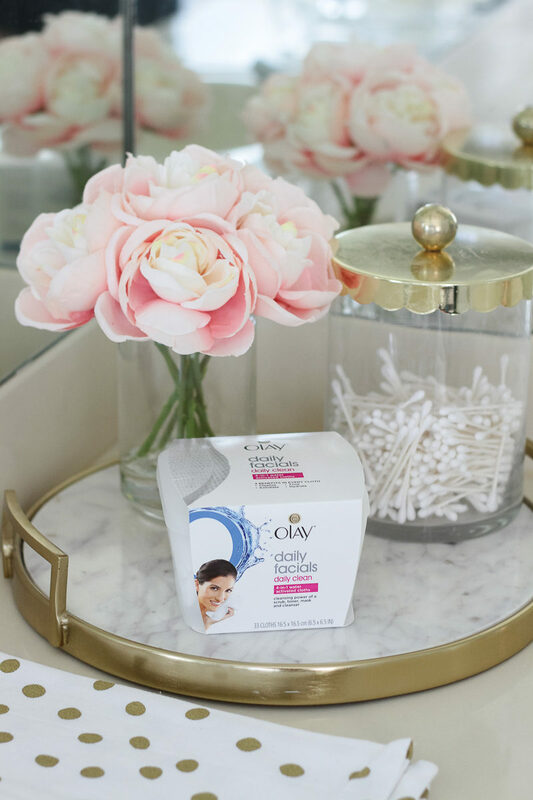 Lately, however, I’ve found myself reaching for them more and more after discovering the Olay Daily Facials Daily Clean 4-in-1 Water Activated Cleansing Cloths. (The “Water Activated” part is the key!) 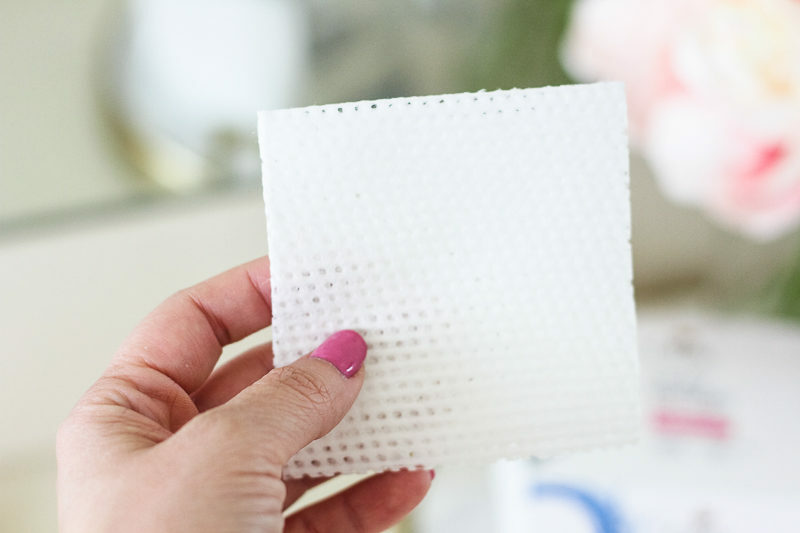 They’ve been a total game changer for me and have completely changed the way I feel about makeup remover wipes! 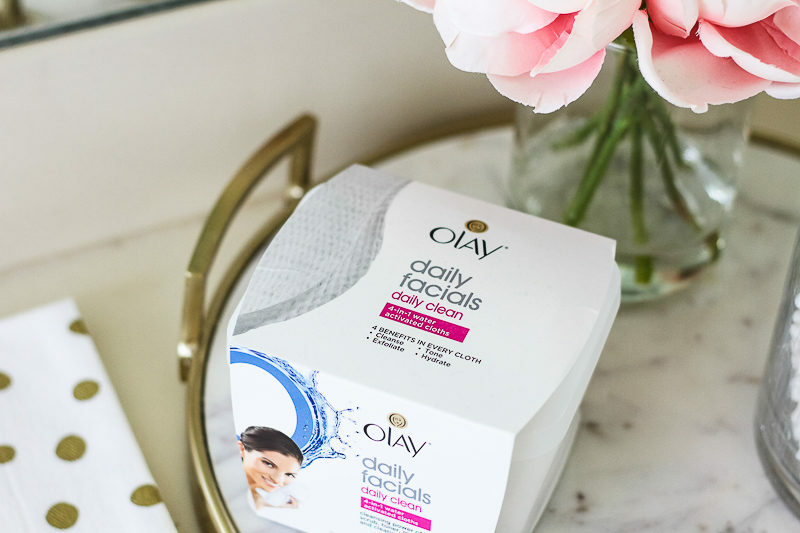 I’ve basically switched from my usual cleanser to the Olay Daily Facials. 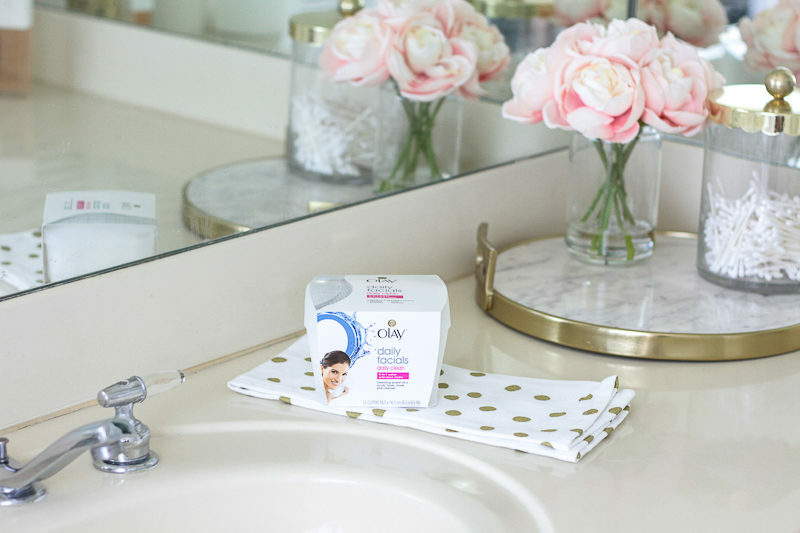 When it comes to regimens, I’m a big fan of the whole routine– cleanse, tone, scrub, mask. 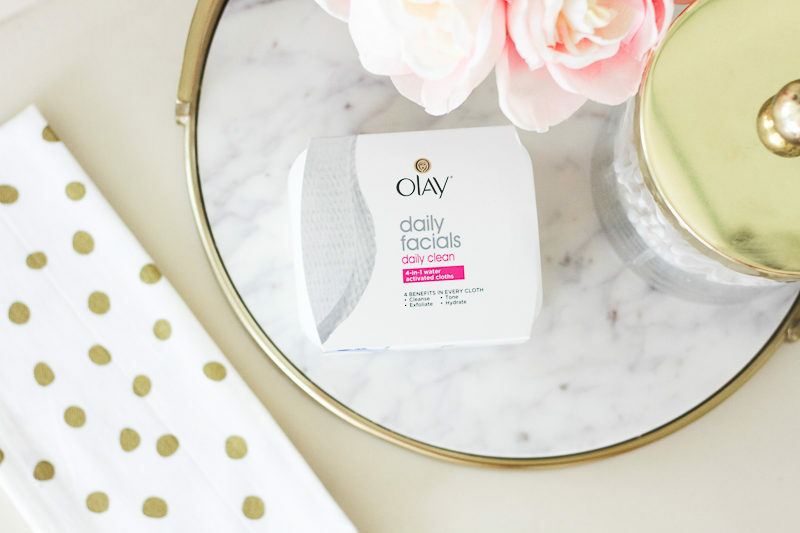 While this is typically a 4+ step beauty routine, I’ve found that the Olay Daily Facials do a great job of eliminating those steps and condensing them into ONE step. (I mean, #timesaver.) The specially textured cloths gently exfoliate the skin with the cleansing power of a scrub, toner, mask and cleanser in one. 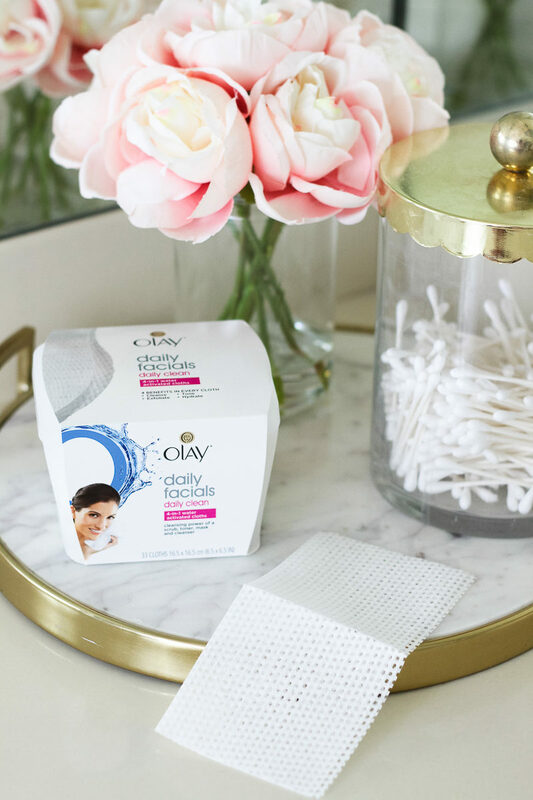 When you use it daily, these convenient cleansing cloths leave skin clean, hydrated and smooth and remove makeup two times better than basic cleansing. I started to see great results after a week! 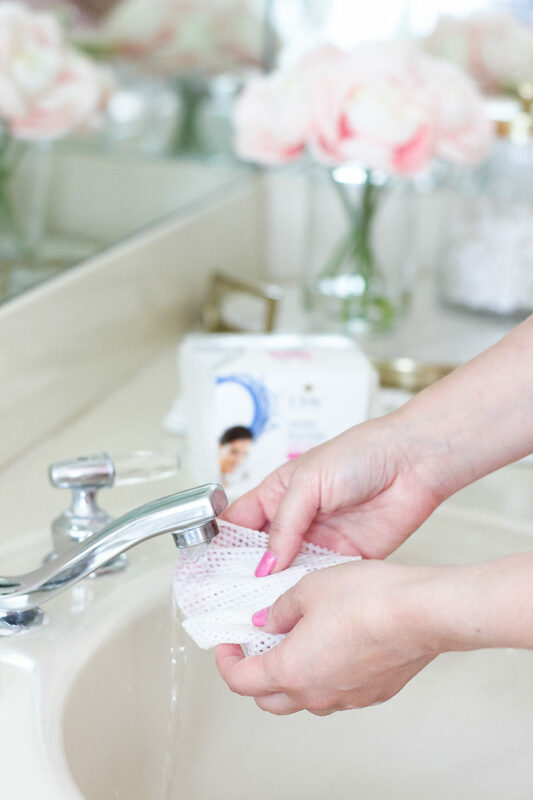 The wipes start to lather as you run them under water, which is really refreshing and totally different than other makeup remover wipes. 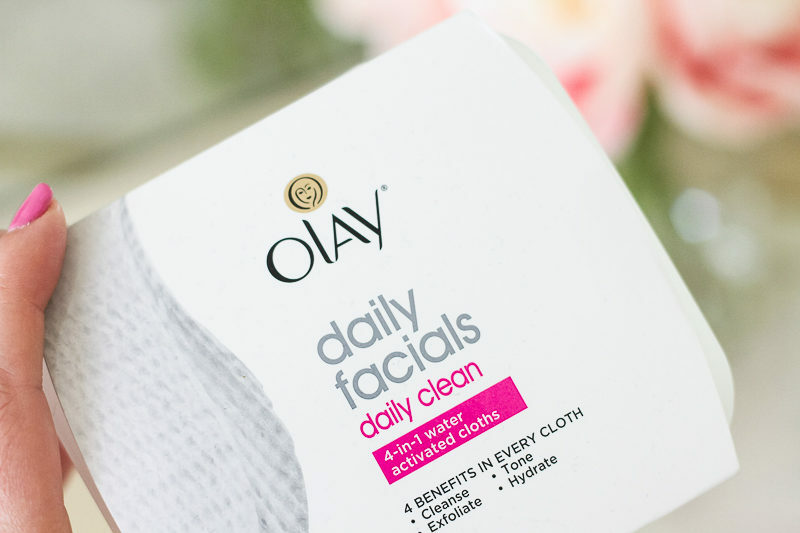 I like that using the cloths feels more like washing your face with a great cleanser than a makeup wipe. Basically, the best of both worlds. 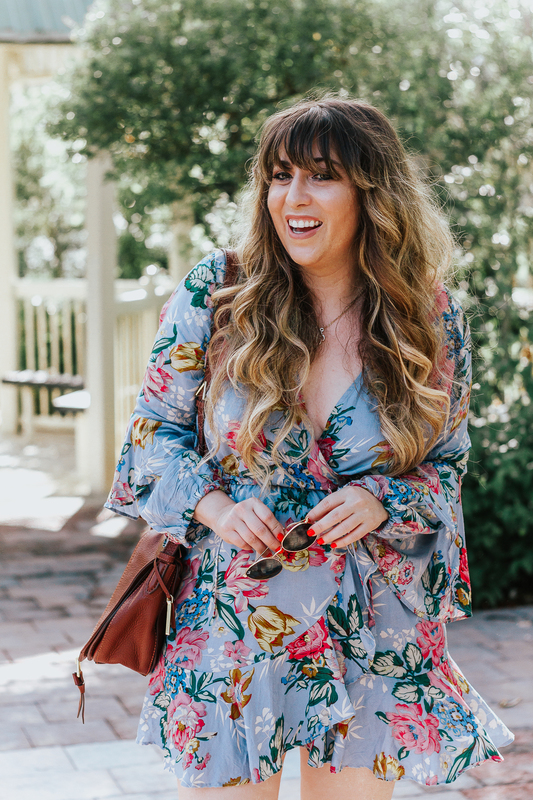 While I tend to skip the waterproof mascara for my top lashes (it dries them out!!) 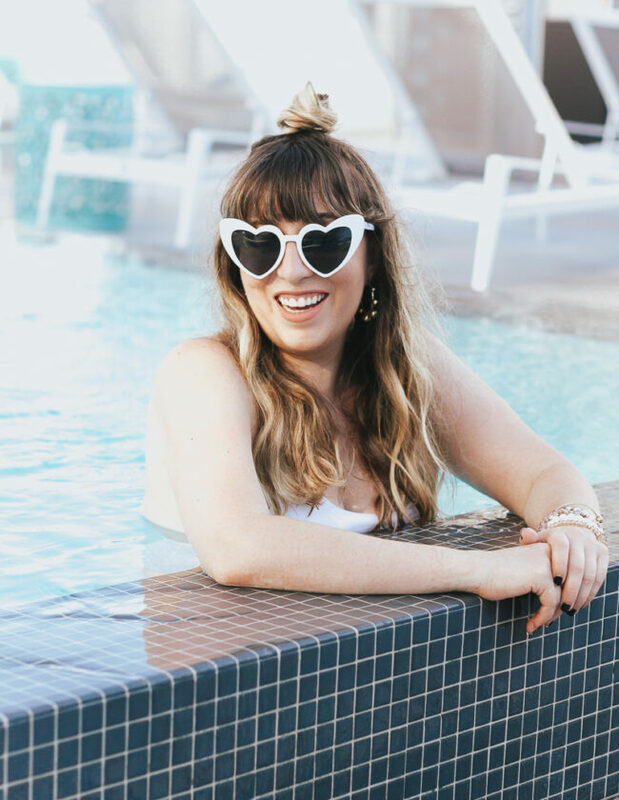 I do typically opt for a waterproof formula on my lower lashes to prevent smudging. That’s all well and good, but removing it is a nightmare. 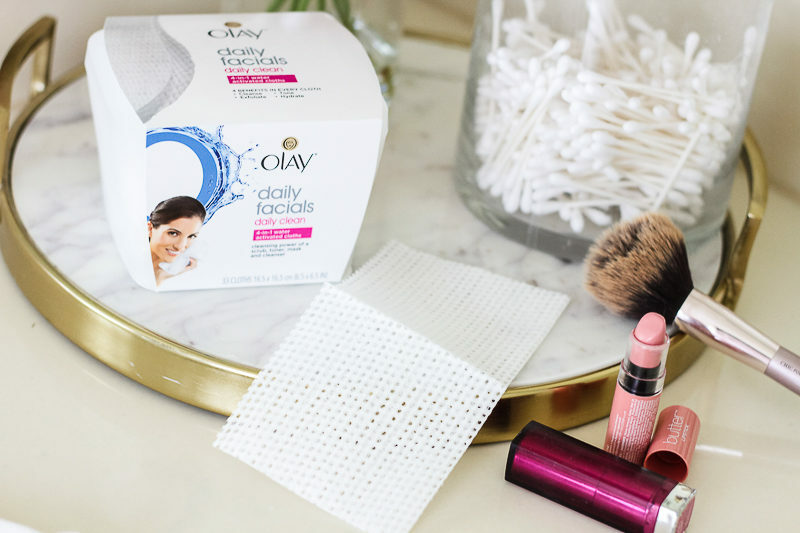 The Olay Daily Facials Daily Clean 4-in-1 Water Activated Cleansing Cloths do a really great job at removing the waterproof mascara for that clean, makeup-free look that’s so hot right now. (Clean, refreshed skin is the first step!) Also, I really like the action of wiping my eyes with something disposable… I’ve ruined, like, 80% of my white towels lol.